Hydraulic Rod seals can often be installed into closed grooves through carefully bending the profile similar to a kidney shape and then inserting it into the groove. It is very important to avoid sharp bending. The 1904-1 seal tool was designed for this very purpose, it slightly bends the rod seal inward so you can install it into the rod seal groove down in the hole! 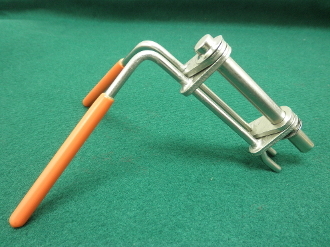 Nickel plated finish with plastic handles. Solid construction & long lasting.